When is it okay for a client to take an ex-spouse off insurance? Because of the economic implications, premiums for health coverage should not be an adversarial issue at divorce. Every year, over 1 million people get divorced and hundreds of thousands more separate only to become next year’s divorce statistic. Within recent memory, health insurance was routinely awarded by the courts. The supporting spouse, usually the husband, not only supported the family post-divorce, but also made sure health insurance was available. Not any more. Health care costs in America are breaking records and the economics of health insurance are at crisis proportions. People tend to believe, “It won’t happen to me,” but losing health insurance in a divorce is likely to happen. Here’s how it can happen. Most family health insurance in the US is made available by employers. The dissolution of the marriage means, usually, the end of employer-provided coverage for the family; not just the spouse, but the children as well. Even if employer-provided health coverage continues, the cost is guaranteed to grow to the point of possibly being unaffordable — often larger than a mortgage payment. To make things more complicated, divorce rates for couples 55 and over are rising. Americans in this age group often have more complex health insurance planning concerns because of the related retiree health care plans such as Medicare, Medigap and long-term care issues. Because of the economic implications, premiums for health coverage should not be an adversarial issue at divorce. Health insurance coverage and planning is important to everyone involved: husband, wife and children. The Consolidated Omnibus Budget Reconciliation Act of 1985 was enacted to stop health insurance lapses when certain qualifying events occurred. The two types of beneficiaries applicable in this article are a) non-employee spouses and b) dependent children. The only two types of “qualifying events” with regards to this article are a) divorce or legal separation and b) a dependent child gets older and ceases to be a dependent. The employer who has a health plan for employees, but has less than 20 eligible employees during the preceding twelve months, is not subject to COBRA laws. The employer is not required to offer continuing coverage to non-employee spouses or adult children under the federal law. Normally, to be required to continue providing coverage to non-employee spouses and adult children the employer must have more than 20 employees. If the employer meets this threshold and a legal separation or divorce occurs, coverage can be continued if the non-employee spouse does three things: a) properly chooses to continue coverage within allowed time limits, b) pays the first premium on time, and c) continues to pay the premiums as they come due. As long as these three rules are followed, coverage may be effective back to the day of the divorce or separation and will continue for to a maximum of three years. Two cases may serve to illustrate the complexity of post-divorce health coverage. In 1998, Larry & Carmen Lomaglio divorced. Mr. Lomaglio was instructed in the divorce decree to provide maintenance for Mrs. Lomaglio for a period not to exceed 18 months. The decree did not require him to contribute any amount to Mrs. Lomaglio’s health coverage costs. In 1999 Mrs. Lomaglio went back to court asking that her ex-husband be required to provide for her health coverage. After a trial, the court denied her request for modification of the maintenance agreement. She appealed the decision and won a reversal. The appeals court ruled that because of her medical condition, which was apt to be permanent, Mr. Lomaglio would have to continue to provide the same level of health coverage that he provided during the marriage. Marc & Gina Henig were married in 1988 and had three children. The couple separated and divorced in 2009. During the Preliminary Conference, the court appointed experts to evaluate the couple’s marital assets. Mr. Henig had been a New York City Police Officer, a position from which he retired in 2007. Part of his retirement package includes lifetime medical, dental and vision benefits for himself, his wife and children. Mrs. Henig’s attorney argued that Mr. Henig’s health benefits should be treated like his pension and considered a marital asset thus allowing the former Mrs. Henig access to health coverage through her ex-husband’s former employer. The question the court looked at was whether the lifetime health benefits constitutes property and therefore is a “marital asset.” In Henig v. Henig, the court ruled that while access to health coverage was mutually available, the former Ms. Henig failed to access coverage through COBRA as outlined in federal law. 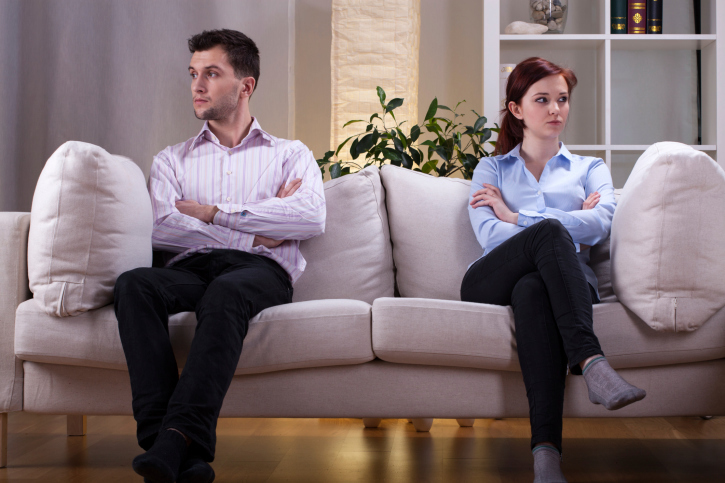 As with many things when it comes to divorce, issues can be complicated and confusing. The cases cited are just two of the hundreds of decisions reached each year. The advice and guidance of an experienced divorce attorney and family lawyer should be sought as early in the dissolution of marriage process as is possible.